Sunshine, Coming Soon to Umhlanga. September brings sunshine to Umhlanga, and we’re ever so excited! As summer comes closer, we’re gearing up for the best time of year in Durban. That’s when you, your families, and friends, join us in Umhlanga for summer! If you’re still thinking about what to do for your summer holiday, we can help! 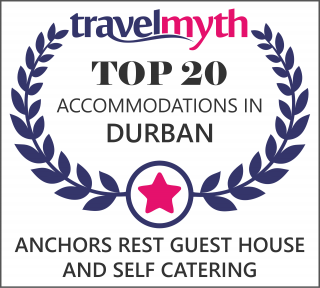 Staying with us at Anchor’s Rest gives you a sweet central spot from which to explore everything Durban and KwaZulu-Natal has to offer. Now that winter’s finally left us, the Umhlanga promenade is humming with life once again. The early morning joggers and walkers find it easier to seek out sunrise, and we’re spotting more and more people leaving their homes early to get a good workout in before their day’s work begins. The Umhlanga promenade is also a pet-friendly holiday pursuit, but don’t forget to keep your dogs on a leash and pick up after them when they’ve relieved themselves. We’ll be enjoying this year’s Paws on the Promenade dog walk this weekend! In Umhlanga, and in business, building and maintaining a strong community is vital for everyone’s success and satisfaction. That’s why we’re familiar faces at local networking events, and deeply enjoy spending time with our city’s best people. At the August Umhlanga Women Achievers Forum, Cilla gave a short presentation on the history of our Umhlanga accommodation establishment and enjoyed sharing her story of the things we’ve learnt along the way. We enjoyed spoiling each attendee with a branded Anchor’s Rest USB charger, supplied to us by a fellow member of the Umhlanga Women Achievers Forum, Sue Donnison of Synergism Clothing and Gifting. It’s thanks to another fellow member of the Umhlanga Women Achievers Forum, Tasha Jardim, that you have new treats in your room at Anchor’s Rest. Tasha is the brain behind the magic at Tasha’s Fantastic Fudge, and we’ve recently changed our in-room sweet treats to her range of delightful fudge. Next time you check in, check your hospitality tray and you’ll find a little fudge-tastic-fantastic treat just for you! Having recently celebrated its second birthday, The Chef’s Table in Umhlanga is a must for every wannabe-foodie and gastronomic adventurer. Book a table and get ready to give your palate a party. 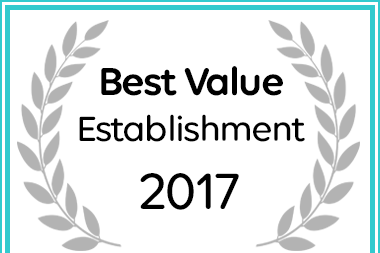 Oh, and the best part, of course, is that this fine dining restaurant is just a hop and a skip away from our front door. The menu changes in line with available fresh produce, so we’d recommend visiting often, to taste what the chefs have cooked up! If you’re in the mood for an Italian feast, check out Casa Bella, situated at Pearl Walk. A similarly short distance away from our front door, Casa Bella is a decadent delight, and a must-visit during your stay in Umhlanga. We recommend you try their Pizza Bianco, that puts a tasty twist on the traditional pizza base. And if a great steak is at stake, then Butcher Boys, located in Lighthouse Mall, is a must. Casual dining, with a side of great service, awaits you. And, if you’re not quite ready to let go of the meaty greatness, you can ask to take a pack of biltong home too! We recommend rounding off your great steak dinner with a Mozart’s ice cream cone, served at your table. If you’re planning your next holiday in Durban, don’t wait to book! Planning your year-end vacation should start now, so pick your room at Anchor’s Rest and let’s get started!